All-on-4 is an immediate solution for complete lower or upper tooth replacement that is as close to natural teeth as is available today. With as little as four dental implants per arch, we can place a full set of teeth that will immediately function like natural teeth. With All-on-4 your chewing power goes from a mere 10% with dentures and about 35% with snap-in dentures, to about 80% of normal power! Which for most patients means being able to eat whatever they want. Patients don’t have to worry about slipping dentures and difficulty eating the foods they like. 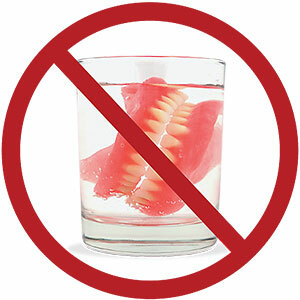 For patients used to broken-down teeth or false-looking dentures, they can expect an attractive, natural-looking smile. *Photo courtesy of Nobel Biocare. 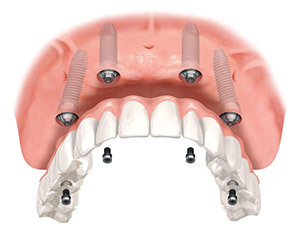 All-on-4 uses dental implant technology to place titanium implants into the jaw bone. Temporary teeth that will look very similar to your final replacement teeth are immediately attached to the implants making it virtually impossible for your new teeth to slip, shift, come loose or fall out. You can use your new teeth right away, taking a little time for the implants to heal before you chew into hard foods. All-on-4 uses some of the highest-quality implants available, made by the best medical device companies. Once the implants have fully healed, we place your final replacement teeth and you have secure, fully functioning teeth once more! 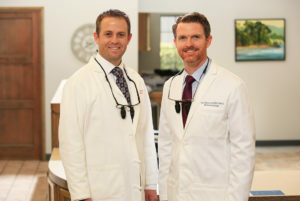 Dr. Hendry and Dr. Henriod will meet with you to discuss your goals for your mouth, review your dental and medical history and do an oral exam. We’ll also do a 3D scan of your jaw, teeth and gums using our 3D cone beam CT scanner, a state-of-the-art 3D imaging system. With the CT scanner we can see in full 360º view all these structures and are able to do a full evaluation. We explain the treatment and answer any questions. 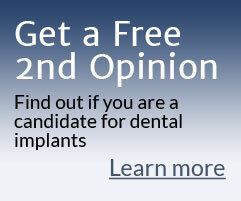 Meet with Dr. Henriod or Dr. Hendry and find out if you are a candidate for the All-on-Four procedure. Learn more about it and get your questions answered. Get a treatment plan tailored for you. Our state-of-the-art cone beam scanner takes 3D images of the entire mouth, teeth and bone of the lower face. As your dental implants will need time to heal before placing your permanent new teeth, you will be given temporary dentures the day of the implant surgery. Together with our partner general dentist or prosthodontist (specialist in tooth restoration), or your own dentist, we prepare your temporary dentures. These are fully functional and are immediately usable. Screw-retained temporary teeth are stronger, but snap-in can be better for some patients as they can be taken out at night, which prevents patients who clench or grind during the night from damaging their still-healing implants. Temporary snap-in teeth also reduce the cost. We use the 3D scans and plaster study models to prepare for your surgery. We plan ahead of time the exact location and angle of the implant needed to take advantage of the bone available. This means we don’t have to do any bone grafting in the majority of the cases. We make a surgical guide to help guide the implant into position with minimal impact on the gum and bone, making the procedure minimally invasive, and your post-treatment discomfort minimal. Due to the thorough pre-planning and the use of the surgical guide, your implant surgery is a relatively fast procedure requiring no extra cutting or suturing. We can usually put only four implants on the bottom arch, and four to six on the top arch. How many we put in depends upon the density of the bone and how much bone is available. If we need to extract any teeth, this is done in the same visit. 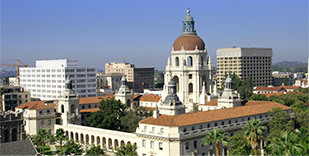 As the procedure is lengthy, patients can opt to have oral or IV sedation for full relaxation. We place your temporary dentures on the implants so you have fully functional teeth when you leave. About 16-24 weeks later we can place your permanent, high-grade teeth, aesthetically designed and fitted just for you. We adjust them as needed so that you have a fully aligned bite (how the teeth come together). 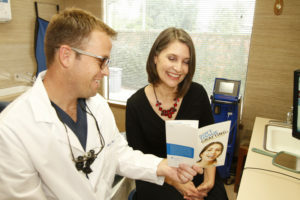 We do several bite adjustments over the upcoming weeks until your bite alignment is just right. This is an essential part of the procedure, as a misaligned bite can cause damage to your new teeth and make for uncomfortable chewing and TMJ pain. The bite must be evenly distributed for your new teeth to work optimally without causing undue stress on the implants. 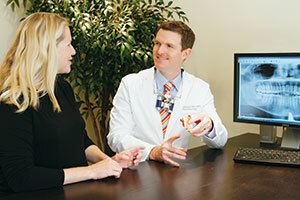 We recommend patients get three cleanings a year to keep the implants in top condition. Although dental implants are immune to regular gum disease, if not properly maintained the tissues and bone surrounding the implants can be become inflamed and eventually deteriorate causing the implant to fail. This is a condition called peri-implantitis. Our hygienists are specifically trained to clean your implant-supported teeth. Cleanings can also be alternated with your general dentist. Once a year we like to repeat the 3D X-rays to check for any bone loss under the gum between the teeth, something that does sometimes occur, although we do everything we can when placing your implants so that this won’t happen to you. Peri-implantitis can also be a cause of this bone loss. 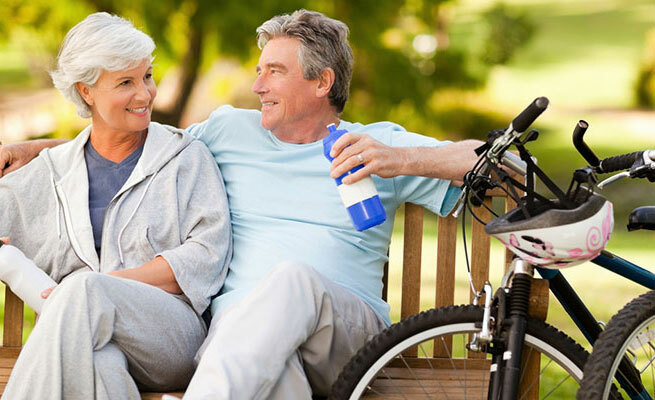 Usually just a quick procedure is needed to remedy any bone loss that is found.